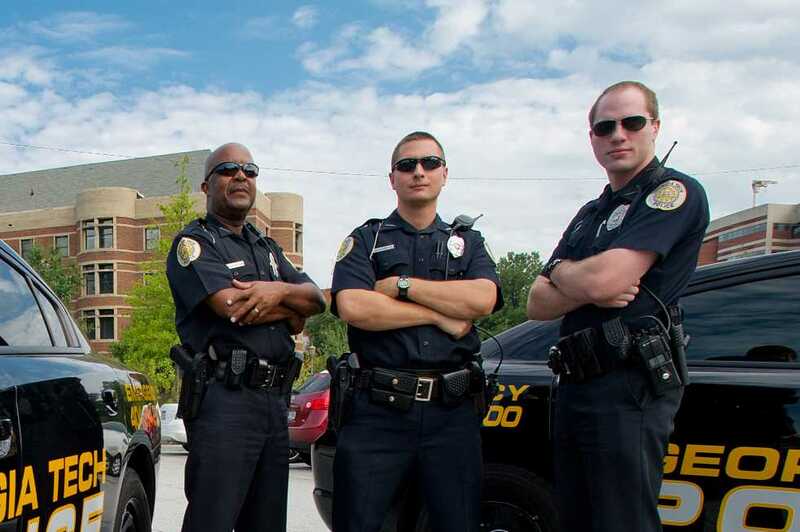 The Georgia Tech Police Department (GTPD) received its Commission on Accreditation for Law Enforcement Agencies, Inc. (CALEA) certification on Aug. 3. “This accreditation represents our commitment to excellence,” said the Georgia Tech Police Chief Teresa Crocker. In order to receive this accreditation, GTPD had to meet 480 CALEA standards. “[Important standards include] use of force, code of conduct, vehicle pursuits,” said Lieutenant Mark Beebe, Accreditation Manager of the Department Standards Unit. Policies implemented this year range from benefits for personnel to procedures for Interviews and Interrogations. All reforms have been created between 2009 and March of this year. “There’s certainly more accountability and efficiency,” said Officer Eric Jan of the Department Standards Unit. Because of the many criteria that had to be met, GTPD is better equipped to protect the campus and serve this community. License plate readers are an example of new technology being used by the force to check for stolen vehicles with the databases of the Department of Revenue and the Georgia Crime Information Center (GCIC). “We had to develop polices for the use of it,” said Officer Beebe. Because the force tries to use the latest technologies in campus safety, these polices describe both possibilities and limits to usage. “I think … it sets us at a standard where we hire… people of excellence and we bring people in [to] do a job that’s considered above what you would probably get at most police departments,” Chief Crocker added. Out of the 59 CALEA certified police departments, three have been certified under Chief Crocker’s watch while she was Chief of Police at East Carolina University, and Deputy Chief at North Carolina State University. Crocker wants to emphasize that the accolade is the result of an exhaustive and expansive group effort between the ten departments in charge of everything from game day safety to IT. “Police officers don’t particularly like change… and so I think that …you have to get them involved in helping write these policies…so we need that institutional knowledge,” she said. There was especially a challenge in meeting all 480 standards because CALEA did not explicity state how to meet them, just that the standards needed to be met. In the next three years, the Police Department hopes to continue improving its service to the community through gaining more certifications.